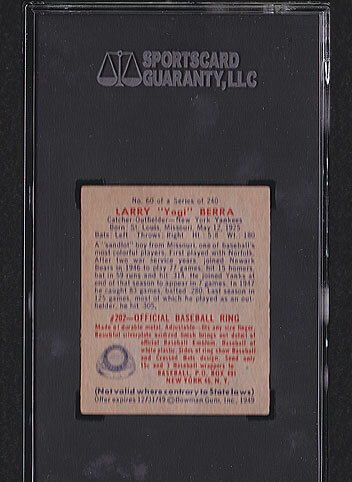 Want to see all Yogi Berra Baseball Cards in inventory? 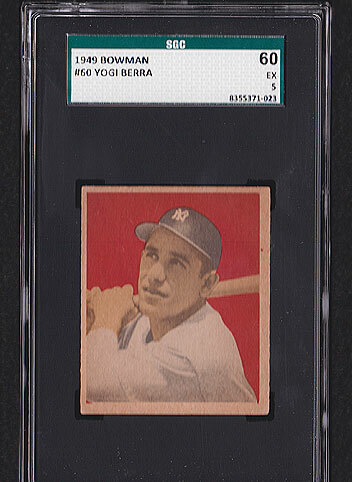 Details: Beautiful second year 1949 Bowman Yogi Berra #60 graded SGC 60. Solid card and solid grade. Case is scratch free. FREE SHIPPING!